Are you starting to get some little wrinkles and fine lines. or are you trying to prevent them? I know I have started to see some here and there, but I am also wanting to keep more from appearing. I know I can’t turn back the hands of time. but I would at least like to slow them down just a little bit. I mean, who wouldn’t? 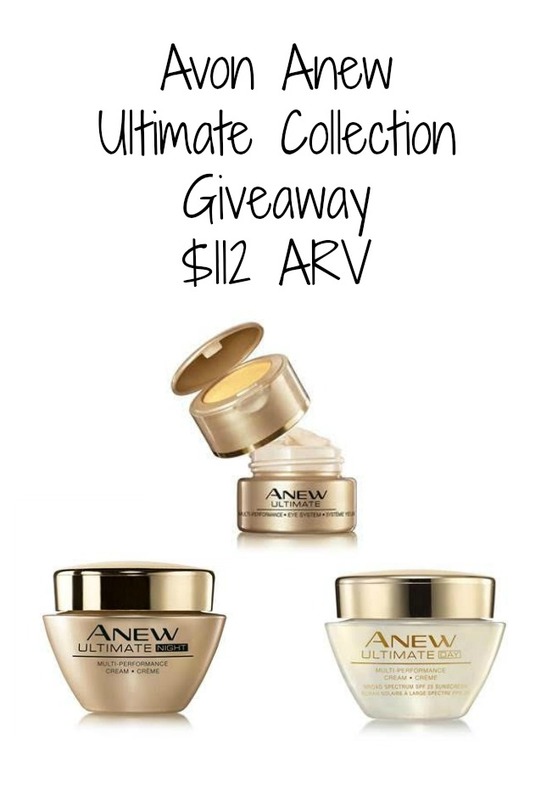 Since I am always on the lookout for high quality beauty products that are great for my skin, I jumped at the chance to try some skin care products from Avon. Now you know what they say, sharing is caring, so one lucky reader is that enters is going to win a set of their own Avon products! Before I get to the giveaway, let me tell you a little bit about these great skin care products. 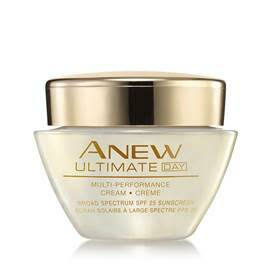 This Day Cream is a premium anti-aging moisturizer with SPF25 and an infusion of an exclusive Celluvive Complex. In consumer and clinical testing, 100% of the women showed many improvements in their skin. There were changes in the texture, clarity and skin tone. Their skin looked more even toned and there was even an improvement in their fine lines and wrinkles. In 2 weeks their skin was firmer and in 4 weeks there was a dramatic reduction in the look of deep wrinkles. What I like about Avon Anew Ultimate Multi-Performance Day Cream Broad Spectrum SPF25 is that my skin feels softer and looks more even toned. There is no blotchiness in my skin tone anymore. The Day Cream is also very light on my face and it doesn’t feel oily or heavy under my makeup. That’s something I really love because my skin is very sensitive and breaks out if I use a greasy face cream. This night cream is an overnight wonder. This is a best in class night cream that will leave skin noticeably replenished and firmer overnight. After just 2 weeks of using the night cream in consumer and clinical testing, 8 out of 10 women said their features looked more sculpted and refined. In 4 weeks, their jaw lines looked reshaped and defined for a more youthful look. After 12 weeks all of the women tested showed an improvement in the look and feel of their skin. As with the day cream, this included the clarity, texture, skin tone and even the appearance of their fine lines and wrinkles. Can you say instant gratification? 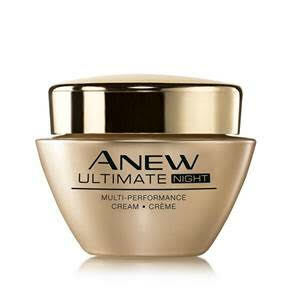 That’s my favorite thing about Avon Anew Ultimate Multi-Performance Night Cream; I can see and feel results right away. I wake up in the morning after using it and my skin feels refreshed and firm without feeling dry or tight. This is also a very light feeling cream that doesn’t feel heavy on your skin. It’s definitely a keeper! This is the new and improved eye system; it’s now infused with Celluvive Complex to be even better. Your eyes will instantly look and feel firmer after using this. In clinical and consumer testing after only 3 days, laugh lines around the eyes looked less deep. In 2 weeks, deep wrinkles are reduced and in 4 weeks even the look of sagging eyelids were improved. 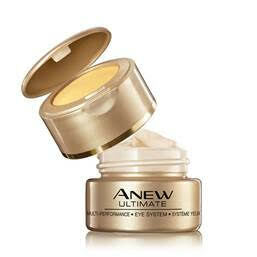 97% of women showed an improvement in the look of texture, clarity, and fine wrinkles in their under eye area. Avon products have been used in my house since I was a kid and years later they still are. I know that with Avon I am getting high quality products at affordable prices and that’s something that makes me very happy. I am so glad I had the opportunity to try these amazing skin care products and share them with you all. Be sure to take a few moments to enter this awesome giveaway below. One lucky winner will receive the day cream, the night cream and the eye system. Enter below and good luck!